Skin care is so important, and having a routine is even more important. A good skin care routine is key for glowing beautiful skin. I’ve never had acne nor any problems with my skin. Of course, I get an occasional breakout, but that is only when it’s my time of the month. Other than that, my skin is combination and clear. My skin care routine for summer and winter differ by just 1 product, my CC+ cream. This is the same routine I’ve been using since high school and it has never failed me. There’s nothing like a fresh face after some skin care. 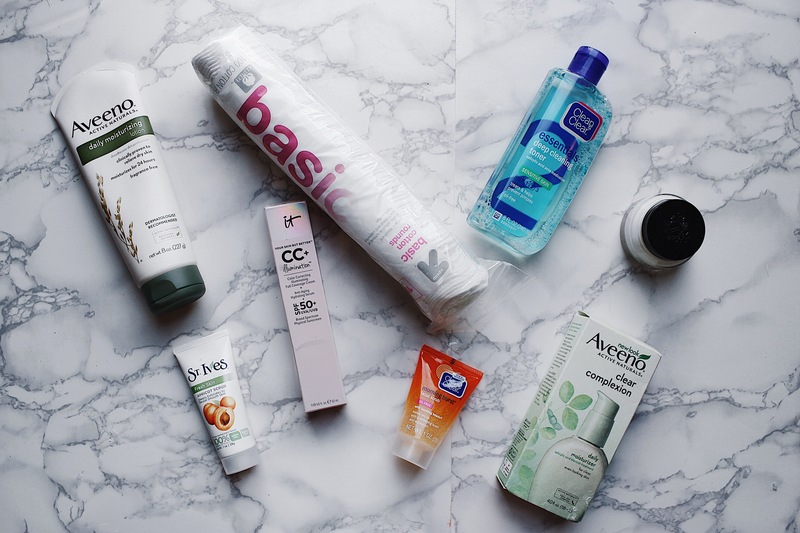 In this post, I’ll be sharing with you the products I use in my Summer Skin Care Routine. Clean & Clear Morning Burst Morning Burst Facial Scrub – My favorite scrub in the morning, it really wakes you up too! Clean & Clear Essentials Deep Cleaning Toner Sensitive Skin – I swear by this toner & after the scrub you really feel this cleaning your skin! Aveeno Active Naturals Clear Complexion Daily Moisturizer Lotion – Holy grail moisturizer! Bobbi Brown Vitamin Enriched Face Base – I only use this product if I am going to be putting on makeup. It’s the perfect moisturizing primer, on the pricey side, but so worth it! IT Cosmetics Your Skin But Better™ CC+Illumination™ Cream with SPF 50+ Light – My go-to for summer! I love that it has SPF in it and is super light on the face. During the winter I wear the regular one without illumination. The illumination gives your skin that summer glow. St. Ives Apricot Scrub – Favorite scrub for night time, smells amazing too! I only use this if I don’t put on a face mask. My favorite face masks here. Aveeno Daily Moisturizing Lotion To Relieve Dry Skin – My full body moisturizer for bed time!